Your 32-bit Audio Units may now be welcome at the Logic Pro X party thanks to 32 Lives. 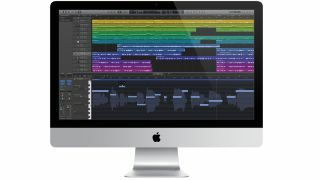 When Apple released Logic Pro X in July, one of the gripes that a lot of users had was the absence of support for 32-bit plugins. Help appears to be here, however, in the form of 32 Lives - a 32-bit to 64-bit Audio Units adapter. This 'transparent' application promises to generate 64-bit versions of your 32-bit Audio Units. There's no recoding, rewiring or re-routing involved - the idea is that your plugins will appear just as they always did, with older projects that use them loading with parameter and automation data intact. You can check if the application will work with your plugins on the 32 Lives compatibility chart. Although it's still in beta, 32 Lives can already be purchased for the discounted price of $69 (beta users will be upgraded to full license holders when the product is released). If you don't feel comfortable paying for a pre-release version you can wait for the finished article and pay $99.